Clothes are the representatives of the person whether they are good or not they give impact on every person’s personality. 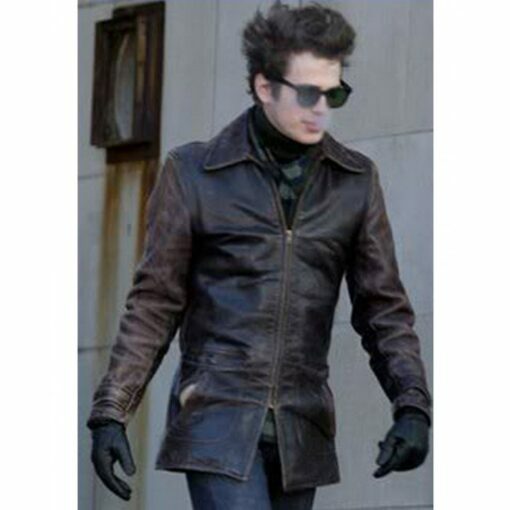 William jackets introduced jacket from the inspiration from movie Factory Girl which is worn by Hayden Christensen. The material which is used in this jacket is the best genuine distressed leather. It has an inside layer of comfy polyester lining which is very soft and comfortable. It is available in sophisticated brown which is very attractive. At the front, there is YKK zipper shutting which gives a modern look. It has two pockets which are present at its waist side and all pockets are zipped. It has broad shirt collar style and it has sleeves in its full length and a slimmy. The stitching method of this jacket is very fine and tidy which gives a very supreme look. It has snap tab cuffs on both sleeves. It is available in very low fare. The designing of this jacket is very gorgeous and it gives the best chance to buy it. It makes a beautiful pair with a shirt and pant. Overall it can easily wear it at any function or casual parties. It was delivered more quickly than even expected. William jacket knows that these packages are important and sends them with care, packaged very well. The dress is absolutely beautiful and exactly what it looks like in the picture. I ordered it too big expecting to need it altered anyway but I can’t wait to wear it. Fast loading site, worldwide shipping, useful features to easier dress search, a wide range of well-designed jackets collection, reasonable prices that offered from low to high prices, reliable services.